So I need some help and some input please. With nearly 2000 fans on the Facebook page and around 15,000 hits so far on the blog, I’d like to give you the opportunity to help shape a decision I have to take. Modern technology is advancing at a rapid rate of knots and in this age of electronic communication, it’s often difficult to decide between good initiatives and bad. There is no doubt that today it is much easier for organisations like ours to communicate with our global audience and customers, but how much is too much? I have the opportunity to introduce a new service at Eilean Donan, but would really appreciate any input you might have before I proceed. 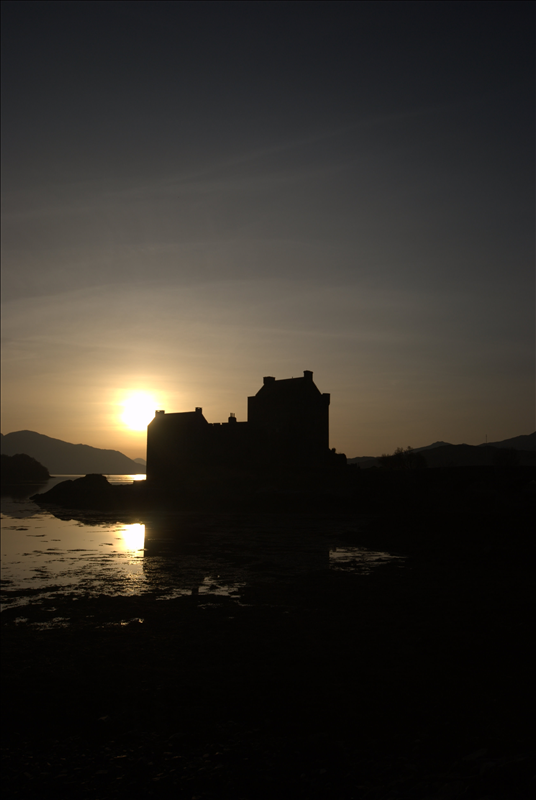 There is now a service which would allow visitors to Eilean Donan, for a relatively small charge to download an “electronic guidebook” application on the castle to their mobile phone, ipod or similar portable electronic device. Potentially, our visitors could download this facility either before they arrive with us, or do it once on site. The application could give an overview of the castle’s history and heritage, an outline of specific points or items of interest inside the walls, and any other information of interest that visitors might find useful. It may be less comprehensive than our official guidebook, but it would potentially sit very comfortably alongside it for those that don’t want to end their holiday with a tidy pile of assorted guidebooks from a variety of different locations or attractions. The great unknown quantity is, just how big an uptake would the initiative produce. Is this something you yourself might use, or is it a step too far? Any constructive input would be very gratefully received! Happy New Year to you all, and I hope you all had a truly wonderful festive season. Well I’m back in the Eilean Donan saddle after a bit of a lay-off due to my heart attack on the 20th of November, and am just starting to feel a bit more like my old self and looking forward to the year ahead. Thank you for all the messages of support and concern that both myself and my family have received during the last 6 weeks, I’ve really been extremely touched. There is however, only so much day-time telly a man can physically take, and I have to confess to being a rather impatient patient, so I have returned to work today to try and catch up with all things castle, and give my long-suffering wife some much-needed space! Had a bit of a bad start to the day as the Visitor Centre boiler has run out of heating oil and the whole place is a bit baltic to be honest, but a few phone calls has sorted the problem, and I’m now waiting for the place to heat up. Officially, we re-open for the new season on the 1st of March, which experience tells me, will be upon us before we know it, so there’s lots of things to do before then. That said, we had a really good response to our limited winter opening trial during November and December, so we’re going to maintain the three days a week (Tuesday, Thursday & Sunday) opening through February for those early-season visitors. The 2011 season looks potentially very promising with advance group bookings and wedding reservations both way ahead of previous years. The last few years have been the most successful in our long history, but we never take things for granted and are always looking for new ways to try to improve the visitor experience. Of late, much of this effort has focussed on the development of the Visitor Centre facilities, and the final part of that particular jigsaw will be the installation of a brand new Servery in the Coffee Shop, due to take place in early February, just in time for the new season. The development focus will then move for the next 4 or 5 years back to the castle itself. We have a roof to replace, probably in October/November; some much needed conservation and restoration work to do; the archaeology project to develop; and hopefully, the opening up of some new previously closed areas of the castle to progress so plenty of variety to keep me busy. 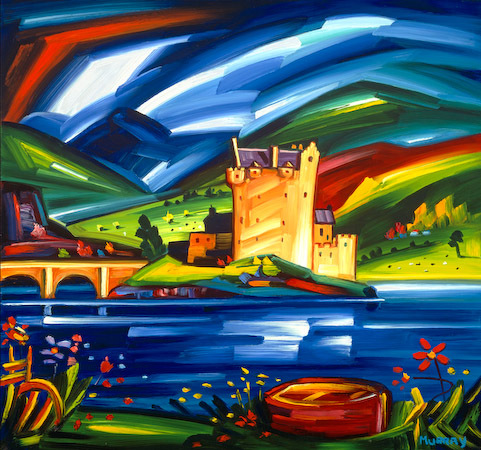 The next few weeks will therefore be geared towards getting everything ready for another great season, and the team and I look forward to welcoming you back to Eilean Donan through 2011. Oh it’s nice to be back!!! Catch up soon!